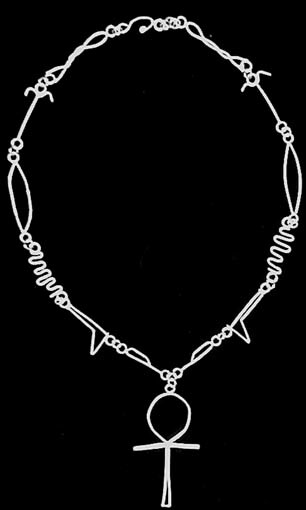 This necklace was made out of sterling silver, then pickled to be white. The center pendant is an ankh and the chain is made up of different egyptian hieroglyphs. This necklace is sterling silver. 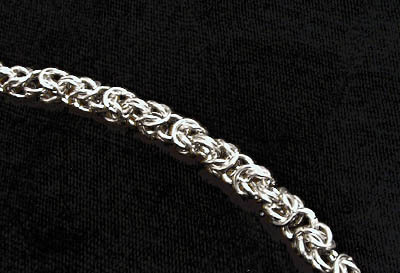 It is made out of jump rings into the "byzantine" pattern, and it has a silver clasp. This necklace is make out of sterling silver. 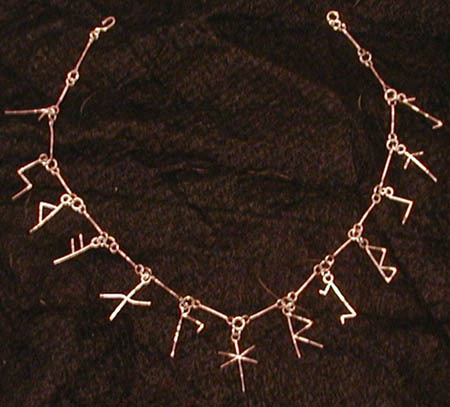 Every pendant is a different Germanic rune.